With over 6500 runners and 6000 spectators the 29th Annual Chile Pepper Cross Country Festival raised money for Northwest Arkansas cross country programs. It kicked off on Friday with the Tom Lewis 1 Mile Pepper Dash with runners of all ages participating. Saturday was filled with running from 7:15 a.m. until 3:00 p.m. with a 10k and 5k open, the collegiate men's 10k and women's 5k, high school varsity and open 5k, and closed with the junior high boys and girls 5k events. 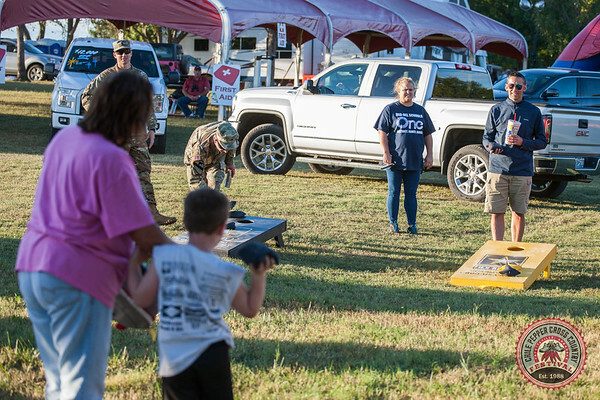 Throughout the day sponsors such as the Army, the Marine Corps, Lewis Automotive, Jose's, and Rush Running helped keep those in attendance fed and entertained. Photos for this race have been paid for and participants are granted permission to make any and all prints and to post online as wanted for personal use only. This authorization pertains to and only to the images that begin with the numbers: Chile Pepper - Friday 0001 and Chile Pepper - Saturday 0001. The 29th Annual Chile Pepper Festival was welcomed in on Friday evening with a 1 mile fun run.